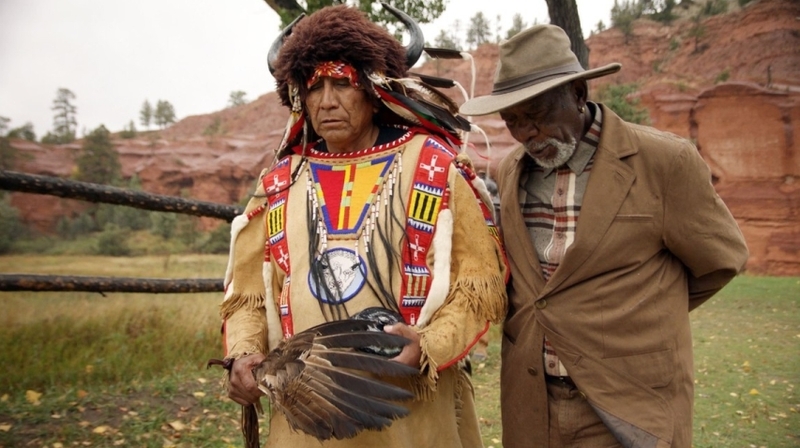 Freeman, host of a six-part documentary series airing on the National Geographic Channel, visited Chief Arvol Looking Horse to ask poignant questions about The Creator. Morgan Freeman goes in search of the chosen people walking the earth today. His series, “The Story of God,” explores religions around the globe in a journey that seeks to “shed light on the questions that have puzzled, terrified and inspired mankind,” Nat Geo said in a statement. In his series, Freeman attempts to uncover the meaning of life, the origin of deities and similarities among the different faiths. According to legend, the White Buffalo Calf Woman was a holy entity that visited the Oceti Sakowin over a four-day period about 2000 years ago. White Buffalo Woman, or Ptesan­Wi, as she is called in the Lakota language, taught them sacred ceremonies, songs, and dances. 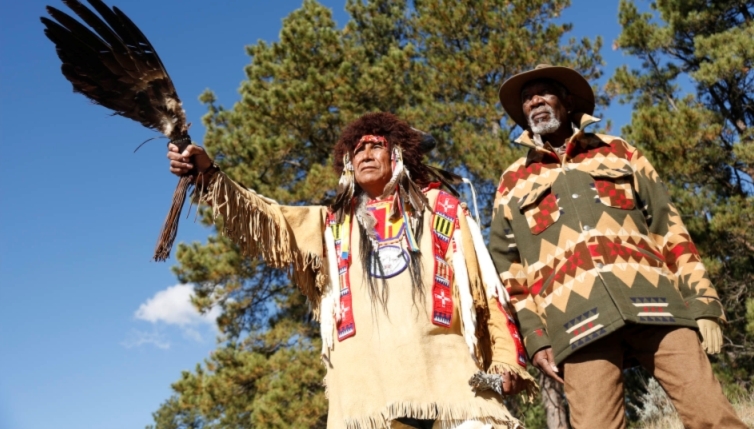 She gifted the people with a sacred bundle containing the White Buffalo Calf Pipe, which still exists to this day and is kept by Chief Arvol Looking Horse of the Cheyenne River Sioux Tribe. White Buffalo Woman promised to return to restore the Earth to harmony if the necessary preparations were made. Responses to "Morgan Freeman Asks Chief Arvol Looking Horse About The Prophecies And The Creator"
Devil's Tower is amazing. Such energy and peace there for me. Mother earth is a source of life not a resource. I have great respect to you Chief Arvol. Greetings from Cyprus. Mary Halloumis. Mr. Freeman leads a charmed life. I wish I could meet with the Chief - I too have questions.